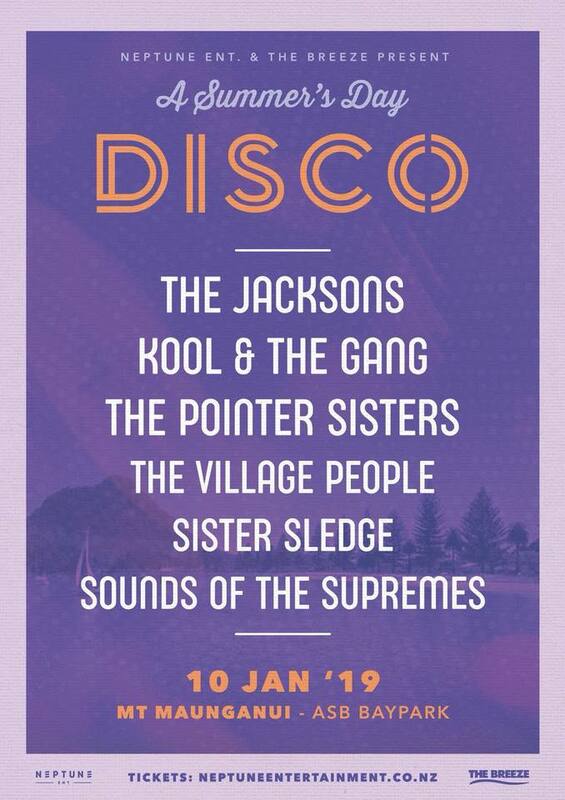 The Jacksons, Kool & the Gang, The Pointer Sisters, Village People, Sister Sledge and The Sounds of the Supremes are all on the bill and will perform back-to-back at ASB Baypark, Mount Maunganui on Thursday January 10, 2019. Village People, led by founding member Victor Willis will show why they are the kings of the era with their smash hits including ‘Macho Man’, ‘YMCA’, ‘In The Navy’, ‘Go West’ and ‘Can’t Stop the Music’. Don’t miss this once-in-a-lifetime opportunity to see the kings and queens of disco together for one magic night under the sun and stars.